With all the tunnels under the River Thames, it might seem strange to think that it was once a nearly impossible feat of engineering. By the beginning of the 19th Century, the need to move cargo was becoming more important for Britain’s economy and London’s bridges were too cramped with carriage and pedestrian traffic to expect to move that cargo quickly. The solution was then to go under the river, but that presented brand-new problems for the engineers. 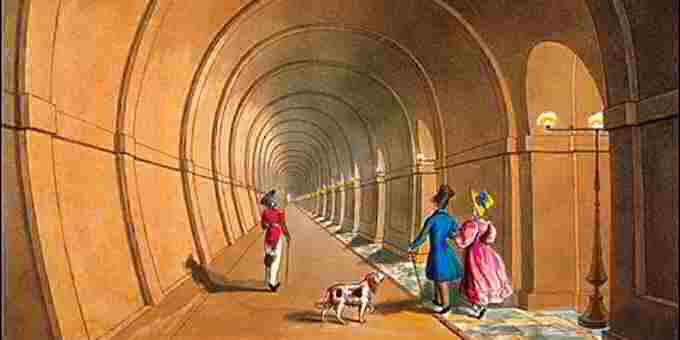 In fact, the Thames Tunnel, the first successful one under the river, took eighteen years to complete. Today, there are many tunnels that run under the river serving many different functions, from moving people to moving waste. Before the Brunel’s succeeded in their tunnel, Richard Trevithick made the first attempt at carving a tunnel out under the River Thames in 1807. However, while one side of the river had a base of clay that was perfect for tunneling, the other side was a mix of sand, gravel, quicksand, peat, and more that gave the project fits. Just 140 feet from the north bank, they hit quicksand and water, causing the pilot tunnel to flood. By that point, the project had already cost too much to continue and was abandoned. Begun in 1825, the Thames Tunnel was the project of famed engineers Marc Isambard Brunel and his son, Isambard Kingdom Brunel. To succeed where Trevithick failed, Marc Brunel adapted his methods to the soft ground and developed a tunneling shield that supported the structure of the tunnel until workers were able to excavate and support the tunnel. Isambard Brunel completed the project that connected Rotherhithe and Wapping in 1845. 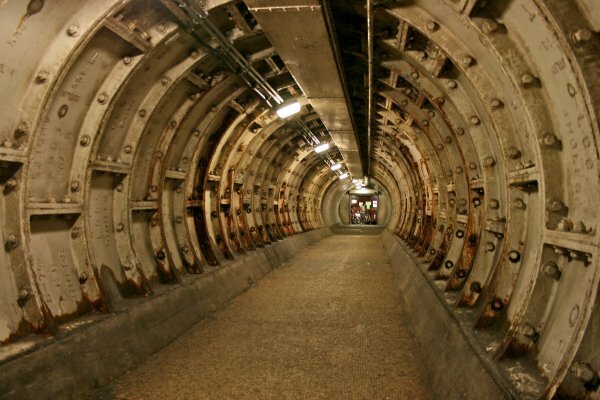 At first, it was primarily a pedestrian tunnel until purchased by the East London Railway and turned into rail tunnel but eventually closed as other Underground and Overground lines became more prominent, though it was periodically reopened and used over the years. Closed for good, there Brunel Museum now exists in the entrance at Rotherhithe. Coming at the tail end of the century, the Greenwich Foot Tunnel began in 1899 and finished in 1902. It was designed by Alexander Binnie and commissioned by the London County Council to replace a ferry that helped workers get from South London to the docks. Repaired and refitted several times during its history, it still sees use by bicyclists and pedestrians. 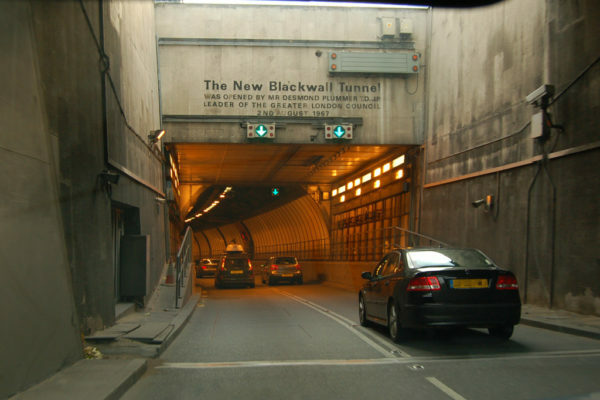 Linking Tower Hamlets and Greenwich, Blackwall Tunnel was first constructed from 1892-1897, then a second tunnel added from 1960-1967. At the time the first tunnel was constructed, there wasn’t much a path for people in East London to get over the river except a long route west to London Bridge. 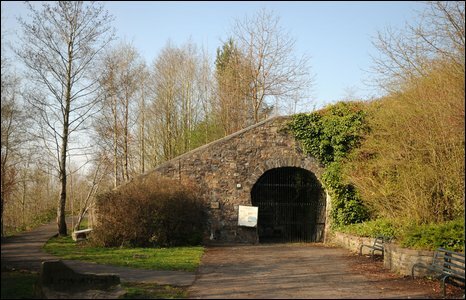 This tunnel was also designed by Binnie and commissioned by the LCC. 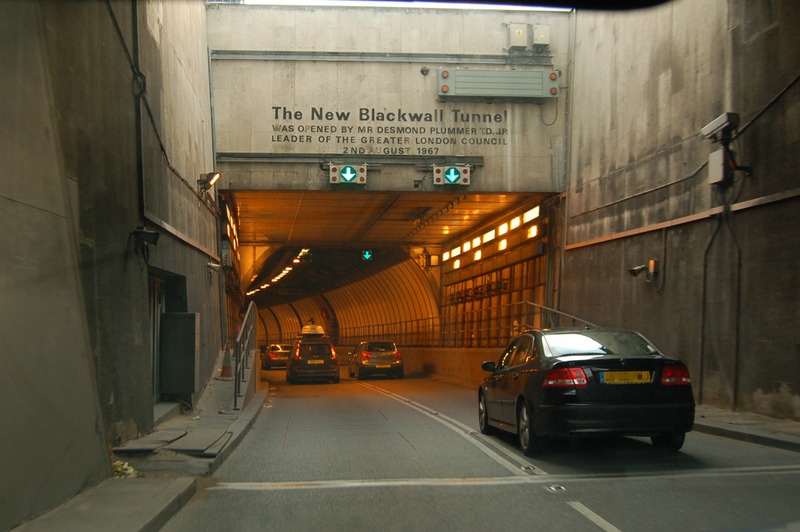 When vehicle traffic became too much for the original tunnel, the second one was built in the 1960s. The Southern Tunnel gateway house is now Grade II listed, and Transport for London is championing the proposed Silvertown Tunnel to relieve congestion in Blackwall Tunnel. Crossrail is an Underground tunnel designed to link London with Berkshire, Buckinghamshire, and Essex. 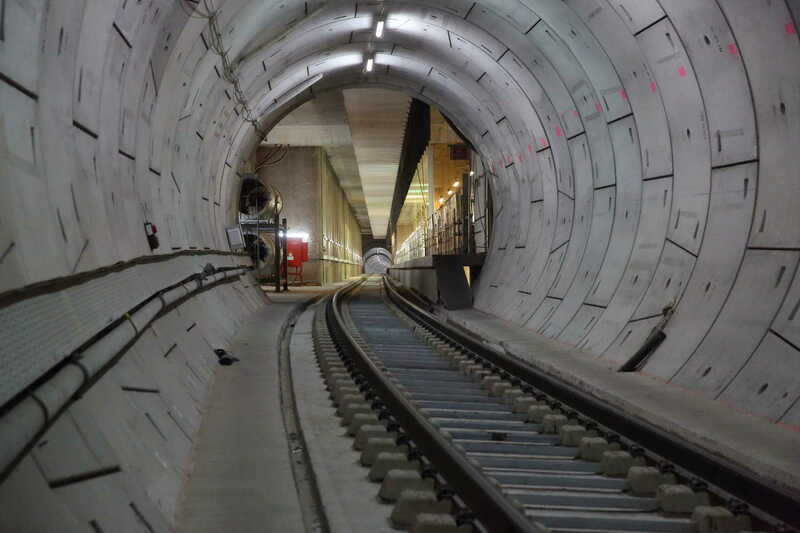 Construction on the central tunnel began in 2009, and a section of the line from Liverpool Street to Shenfield opened in 2015, with the rest of Crossrail expected to open in 2019. 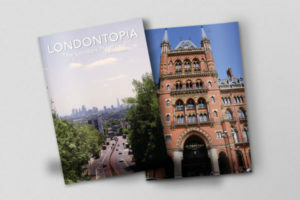 The idea of linking some of the home counties with London by rail has been around since the late-1940s but didn’t become a reality until it was approved by TFL in 2007. Last year, it was announced that the Crossrail line would be named the “Elizabeth Line” in honour of Her Majesty, and it will use this name beginning in 2018. 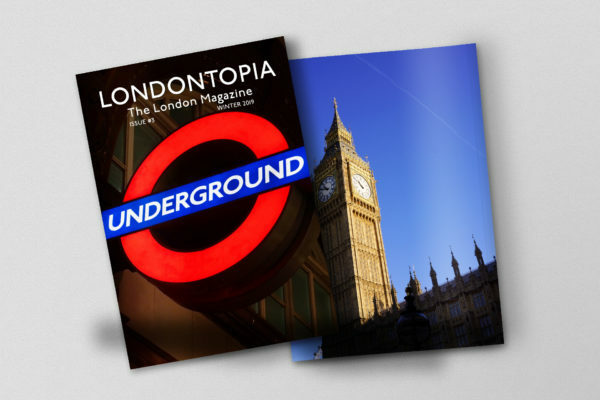 Speaking of train lines, we’d be amiss not to at least briefly mention the London Underground. This series of underground rail tunnels were the first of their kind when opened in 1863. Several different railways operated the various lines until they all merged as the Underground in the early 20th Century. 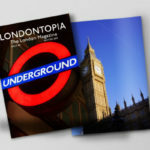 The District, Victoria, Northern, Bakerloo, and East London lines all run under the Thames, and the Underground sees approximately 4.8 million passenger journeys a day. Not a normal tunnel and certainly not meant to move people, Lee Tunnel is actually the largest and deepest sewer in London. The tunnel was constructed as part of the London Tidewater Project and is designed to help make the river cleaner by 2020. 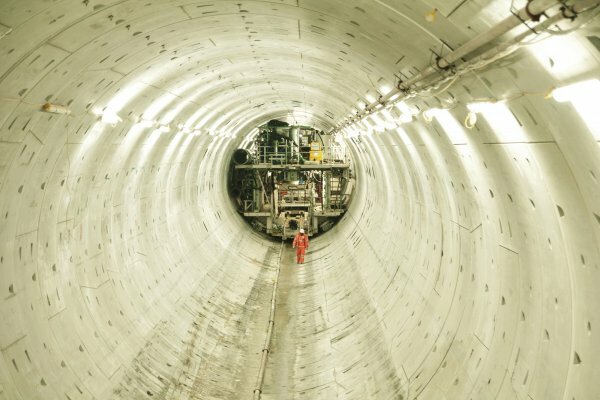 At its deepest, it runs 260 feet deep, which is even deeper than the Crossrail excavations. What’s more, can move 16 million tonnes of sewage annually and goes underwater through East London. 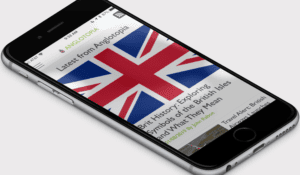 Thus, with this article on London’s deepest sewer, we end this article on a very low note. The Thames Tunnel continues to be used by Overground trains.